DENVER, Dec. 18, 2018 /PRNewswire/ -- TTEC Holdings, Inc. (NASDAQ: TTEC), a leading global customer experience technology and services company focused on the design, implementation and delivery of transformative solutions for many of the world's most iconic and disruptive brands, recently hosted its 14th annual Spirit of the Season holiday event benefitting University Prep students and families, and announced other 2018 grants of the TeleTech Community Foundation. Established more than 36 years ago in Colorado, TTEC has long been a strong supporter of education initiatives across the local community. Through the community foundation, grants are awarded to nonprofit organizations that strive to transform the educational experience for disadvantaged students. The foundation, now in its eleventh year, has been ranked by the Denver Business Journal as one of the top 10 corporate foundations in Colorado for total contributions made to local charities. TTEC was also ranked in the top 25 of the Top Corporate Philanthropists' list for Colorado-based charities in 2017. TTEC has hosted the Spirit of the Season holiday celebration, which this year benefitted University Prep students and families, for the past 14 years with participants enjoying a free and fun evening of entertainment, food, and gifts. 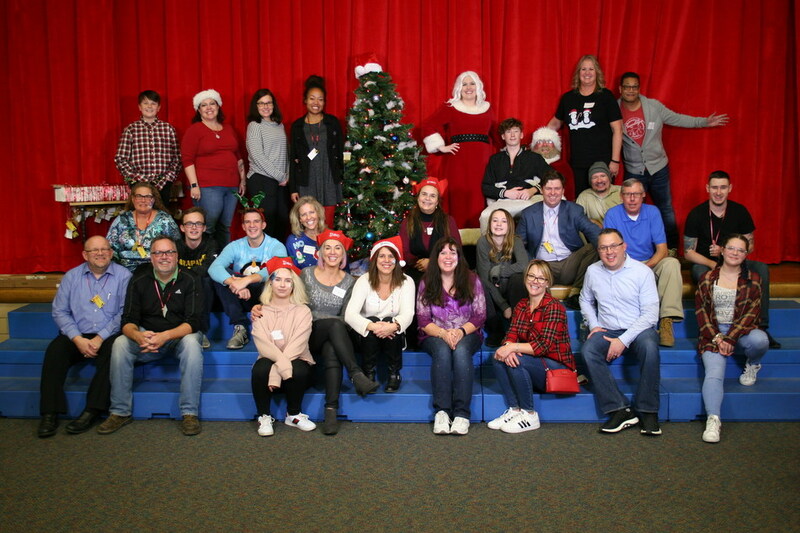 313 students and their families participated in this year's event, with more than 80 TTEC employees volunteering for over 100 cumulative hours to plan, prepare and participate in the festivities. In addition, area Boy Scouts, middle school and high school students volunteered and earned service hours while participating alongside TTEC volunteers supporting the event. TTEC's community foundation has supported University Prep for the past five years, providing funding and support for a variety of technology and human capital needs at the school. "For more than a decade, we have worked hard to create better tomorrows for students through the efforts and grants of our community foundation and the efforts of our people, both here in Colorado and in all the communities we serve around the globe," said Michael Wellman, Chief People Officer, TTEC. "I'm very proud of what we have accomplished this year through our employee driven grants and volunteer activities such as the Spirit of the Season. It's important to our team to make a sustainable and positive impact on the communities in which we live and work." Via the mentor 2.0 program at Sheridan High School, students and mentors participate in programs aimed at building strong relationships, growth mindset, grit and resilience, self-advocacy, and social capital skills. These programs ensure that participants are on the right track to graduate high school prepared for post-secondary education or the workforce and ultimately lead to increased high school and graduation rates for Colorado's most vulnerable populations. The grant for Clothes to Kids of Denver provided 57 complete wardrobes for free to preschool through 12th grade students from low-income or in-crisis families in a warm, welcoming store-like setting. The goal is to help youth put their best foot forward in the classroom. The sponsorship of the Succeeds Prize supported recognition of Colorado's top educators, schools and districts driving transformational impact of public education across the state. TTEC sponsored the Transformational Impact in an Elementary School award and presented the award to Paonia Elementary School during the organization's recent awards program. Funds support the Health Education Program which will conduct 6,500 client health educator visits and provide classroom presentations over the course of the school year. Funds granted were used to support provision of JA programming to approximately 160 low to moderate-income (LMI) students for organization that prepares young people to thrive in in the 21st century workplace and global economy. The grant supported several special needs students and benefitted all staff, students, and parents. The company's foundation, which was founded in 2007, was created based on the principle that education is the key to a successful community. Since its inception, the foundation has donated more than $4,000,000 to education-related organizations across the globe. All grant awards are employee-sponsored and are provided within the communities where TTEC operates around the world. For more information on the company's foundation and community outreach activities, please visit https://www.ttec.com/community-foundation. TTEC Holdings, Inc. (NASDAQ: TTEC) is a leading global customer experience technology and services company focused on the design, implementation and delivery of transformative solutions for many of the world's most iconic and disruptive brands. The Company delivers outcome-based customer engagement solutions through TTEC Digital, its digital consultancy that designs and builds human centric, tech-enabled, insight-driven customer experience solutions for clients and TTEC Engage, its delivery center of excellence, that operates customer acquisition, care, growth and digital trust and safety services. Founded in 1982, the Company's 49,700 employees operate on six continents across the globe and live by a set of customer-focused values that guide relationships with clients, their customers, and each other. To learn more about how TTEC is bringing humanity to the customer experience, visit www.ttec.com.